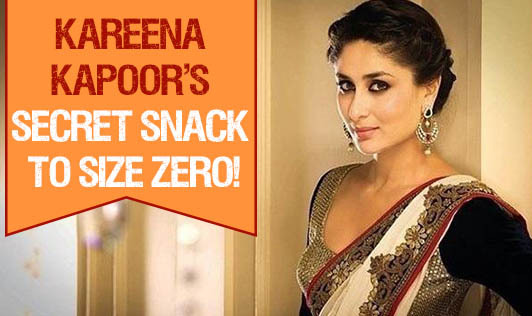 Kareena Kapoor's Secret Snack to Size Zero! Lotus seeds! Apparently, Kareen Kapoor snacked on lotus seeds when she was under a strict diet to get the popular "size zero" look. Most of us try to follow a strict diet with our meals: Reduce oil intake, avoid fried foods, eat minute quantities of food and starve ourselves. But, what happens when it comes to snacking? Don't you find it hard to resist the hot samosa or a plate of your favourite chaat when they have to be your nemesis for your weight loss program? Well, it turns out that lotus seeds are not such a bad idea for a good snack! Lotus seeds are small, round and white or off-white in appearance. They are used in Chinese cuisines and in Chinese medicine for their medicinal properties. Lotus seeds are used in desserts, soups and forms an ingredient in many Chinese dishes. In India, they are sold in the market by the name "Phool Makhane" and have grown in popularity recently. It's not just for weight loss, but these seeds have several nutritional benefits as well. A cup (32g) of lotus seeds contains about 106 kcal of energy, 0.63g of fat and nearly 5g of protein. This makes it an excellent snacking option with a good amount of protein in it! Apart from these nutrients, lotus seeds are also high in phosphorous, potassium and are a fairly good source of calcium. An anti-aging enzyme called L-isoaspartyl methyltransferase present in lotus seeds is known to repair damaged proteins, and are being tested for the preparation of anti-aging blends. Traditionally, lotus seeds were used to treat indigestion, diarrhoea, insomnia, cancer, fever, heart complications and are a good anti-fungal source as well. So, the question is, why have we just forgotten about some natural sources that can help prevent and protect us from several ailments? If you are wondering what it tastes like, it tastes, feels and looks like pop corn and you can make a great snack with it if you like experimenting. You could microwave them for less than a minute or dry roast them with some salt and pepper. I simply microwave them with some olive oil, a pinch of sugar and chilli powder. Sometimes, I add flax seeds to them or chop some onions and tomatoes into them for a quick chaat-bite! You can make just about anything with this versatile seed and get the best benefits from it. Lotus seeds are available in the Indian market quite easily. Go ahead, make some interesting recipes and use them as a handy, nutritious snack that can benefit you!